The Sept. 25 issue of Milpitas Post is an epitome of irony. On the same page, one can find “Smells from Newby Island” voted as “The Worst Happening of Past Year” and Republic Services as “The Most Community Minded Company” among other accolades. I find it reminiscent of Enron being named America’s “Most Innovative Company” and “Best Companies to Work for” by Fortune magazine, the same year Enron was exposed for the worst corporate fraud in U.S. history. Let’s focus on facts. Republic Services’ Newby Island is a toxic air and water polluter. In the last 12 months, Newby has received 17 regulatory violations from CalRecycle, San Jose Local Enforcement Agency, Bay Area Air Quality Management District, and Regional Water Quality Control Board. Bay Area Air Quality Management District had publicly attested that 90 percent of confirmed Milpitas odor complaints were traced to Newby Island. Even Milpitas City Council adopted a resolution on April 15 declaring Newby Island as a public nuisance. Its national environmental track record is worse — Republic’s Bridgeton, Mo. and Countywide, Ohio landfills have been burning for five and 10 years respectively and remain uncontained. On the labor record front, Republic still owes Newby Island employees and San Jose $19 million for violating its living wage policy. Let’s not be swayed by Republic Services’ “generosity.” The $5,762 for four full-page Milpitas Post ads in the Sept. 25 issue, donations to community events and political campaigns are chump change for this $22 billion corporation that reaps tens of millions annually from the city’s 30-year garbage collection and disposal contract. It is appalling that Milpitas residents continue to pay higher than 10 cities in Santa Clara County for standard 35-gallon service while smelling decomposing garbage hauled from municipalities as far as Merced and Clovis into our city. The landfill impacts to our environment and health are irreversible. It’s time we retire Newby Island (the last, oldest and largest landfill in San Francisco Bay) and work toward a zero waste future. The “Stop Newby Island Landfill Expansion” petition has more than 21,000 signatories. With Newby Island’s contract with City of Milpitas finally expiring, please support a new petition to stop its renewal at http://tinyurl.com/newbypetition. A Concord-based odor consultant handling landfill and solid waste issues for City of Milpitas had its contract with the city extended and increased last week. We at the Silicon Valley Foundation for Better Environment (SVFBE) are committed to the cause of a better environment for the growing population and worldly visitors of the Silicon Valley. The Newby Landfill is the last operating landfill by the San Francisco Bay. It is applying to expand to 245 feet high, and extend its operation to beyond year 2040. In an effort to stop the expansion, we are trying to petition the cities in the Silicon Valley to stop giving business to waste management service providers that send garbage to the Newby Landfill. The City of Milpitas is evaluating a 10+ year contract for garbage collection. 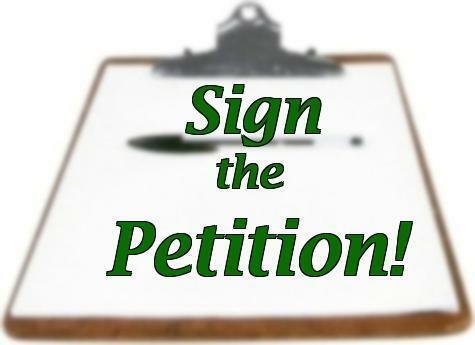 We are launching a petition to stop Milpitas from giving business to Newby, unless proper measures are taken by Republic Services, the company that operates the Newby Landfill. Please join us in this meaningful quest. Our future generations will be thankful that you voiced out today. We encourage you to forward this letter to any citizen of the world who wishes for a better environment in the Silicon Valley.